Seven kids, Thor's hammer, and a whole lot of Valkyries are the only things standing against the end of the world. 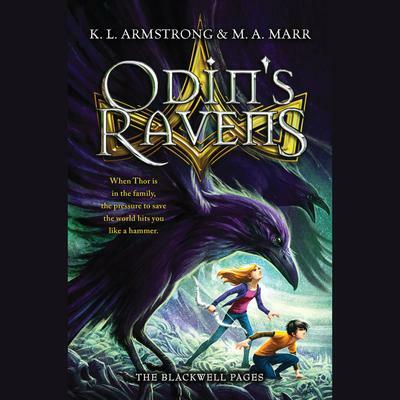 When thirteen-year-olds Matt Thorsen and Fen and Laurie Brekke, modern-day descendants of Thor and Loki, discovered they were fated to take the places of the Norse gods in an epic battle against the apocalypse, they thought they knew how things would play out. Gather the descendants standing in for the gods, defeat a giant serpent, and save the world. No problem, right? But the descendants' journey grinds to a halt when their friend and descendant Baldwin is poisoned and killed and Matt, Fen, and Laurie must travel to the Underworld in the hopes of saving him. That's only their first stop on their journey to reunite the challengers, find Thor's hammer, and save humanity--a journey filled with enough tooth-and-nail battles and colossal monsters to make Matt and his friends a legend in their own right. Perfect for fans of ancient myths and filled with young heroes, monstrous beasts, and godly enemies, this fast-paced adventure is impossible to put down.